From the author: "On December 17, 1999, our 18-year-old son and only child was killed in an automobile accident. In the weeks following, my wife Brenda and I attended a group called Compassionate Friends, composed of parents who had lost a child. Being a pastor, I was impressed by the anger some of the parents expressed over how their minister dealt with the death of their child. Many more than I expected told us things the minister had said or done that they considered inappropriate and hurtful. In some cases, they shared what they wished the minister had said or done. An expanded survey I conducted with a much larger group of bereaved parents confirmed the same findings. 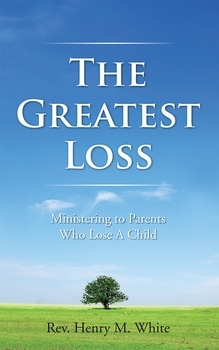 It was while attending Compassionate Friends that I decided to write this book, to help ministers in particular, and others in general, know how better to console grieving parents. It is my prayer that this book will help people minister better to parents experiencing the worst tragedy a parent can know, the death of a child."